in kamiak one year after my incounter in hp, i was scratched in the hall way of the art room. i was walking to yoga and felt a burning pain down the middle of my back. I like to post a Police Report, including Linda Driver Social Worker # 1 and Theresa Negri Social Worker # 2 | City Of Mukilteo Police Department, Assistant Attorney General Kelly Taylor School District No. 6:., DSHS DEPARTMENT OF SOCIAL AND HEALTH SERVICES CASE NUMBER: 04-0206 SCHOOL DISTRICT NUMBER 6:., KIDNAPPING, on February 11th, 2004 | including Alison Mead are all school District Number 6:., kidnappers of my four childrens on February 11th, 2004. after they kidnapped my four childrens, my seven years old son Daniel Ayson Viloria DIED on March 30th, 2004. Linda Driver, I believe that the spirit of the dead is now hunting you..
Linda Driver' is a kidnapper. Not all people are lucky to see, or have that experiences, like the other people do. Since February 11th, 2004, when CITY OF MUKILTEO POLICE DEPARTMENT, and (DSHS) DEPARTMENT OF SOCIAL AND HEALTH SERVICES SOCIAL WORKERS OF SNOHOMISH COUNTY, "KIDNAPPED" my four children, and MADE A FALSE STATEMENT to the autority, agains the four childrens mother: FLORDELIZA ARROJO AYSON VILORIA (mother), and "VICTIM" of: SCHOOL DISTRICT #: 6:., KAMIAK HIGH SCHOOL, HARBOURPOINT MIDLE SCHOOL, ENDEAVOR ELEMENTARY SCHOOL of: CITY OF MUKILTEO SCHOOL DISTRICT NUMBER 6:., / CITY OF MUKILTEO POLICE DEPARTMENT, 911 OPERATOR, SCHOOL COUNSELORS, SCHOOL ATTENDANT DEPARTMENT, SCHOOL PRINCIPAL, (DSHS) DEPARTMENT OF SOCIAL AND HEALTH SERVICES SOCIAL WORKERS, AND SCHOOL DISTRICT NUMBER 6:., and WASHINGTON STATE PATROL OFFICER UNIFORM. "KIDNAPPED, and DELIVER MY FOUR CHILDRENS "BACK" TO THEIR FATHER NAME: EMILIO KIMO VILORIA JR. who's is "NOT" autorize to have any contact by the FAMILY DEPENDENCY COURT JUDGE, to have NO contact, or have any autorization, to have our children. On Febroary 11th, 2004 my four childrens are KIDNAPPED / CASE NUMBER 04 - 0206 / MARCH 30th, 2004 FATAL ACCIDENT ACCURED. few weeks after the SNOHOMISH COUNTY MUKILTEO SCHOOL DISTRICT #6:.,. "KIDNAPPING. My name: FLORDELIZA ARROJO AYSON VILORIA, (MOTHER) I WAS "FALSELY ACCUSED OF FAMILY ABANDONMENT" on February 11th, 2004.
. Daniel Ayson Viloria (decease) died after the school kidnapping. CN04-0206. Until I do not see justice of what happened to me, the "WHOLE MUKILTEO SCHOOL DISTRICT, WILL REMAIN HUNTED BY ME: FLORDELIZA ARROJO AYSON VILORIA, AND MY FOUR CHILDREN, SPECIALLY MY SEVEN YEARS OLD SON. NOW A DECEASE, AFTER SCHOOL KIDNAPPING CN04-0206, I'M STILL SEEKING FOR JUSTICE, TILL NOW. and ALL OF THE PROFESSIONAL PEOPLE THAT OFFERED TO HELP ME, DID MORE HARM, AND DAMAGES, IN TO OUR LIVES..
By: FLORDELIZA ARROJO AYSON VILORIA. PLEASE! DO NOT TRY TO COZ MORE DAMAGES INTO MY LIFE, AND ALL OF MY CHIILDRENS, AND MY WHOLE FAMILY MEMBERS, BECOUSE, IF I GET HURT, OR DIE.. THE WHOLE MUKILTEO WILL BECOME MORE HUNTED PLACE, AND MY LIVING, OR DECEASE SPIRIT, WILL STAY, AND ACCUPIED THE WHOLE MUKILTEO SNOHOMISH COUNTY, AND WHOLE PART OF THE GOVERNMENT FAMILY COURTS, BANKRUPTCY COURTS, AND ALL OF THE INVOLVE... MY SPIRITS WILL FOLLOW EVERY SINGLE PERSONS, THAT ARE INVOLVE. THAT COUSES ALL OF THE DAMAGES, INTO MY LIFE, AND MY FOUR CHILDRENS LIFE, MY HUSBAND IS ALSO A VICTIM, LIKE ME, AND MY FOUR CHILDRENS. AND, I KNOW ALREADY, WHO YOU ALL ARE?. Total, bullcrap. Buddy, I went there at midnight no matter what weather it was, I walked in those forests (Not reccomended if you don't have your own steps.) when it snowed, rained, didn't matter during midnight, to ease my stress. It's not haunted. I went to this school as well, it's a amazing school, as well as Kamiak. In February 2004, My four children… Are KIDNAPPED…. Went the School of my four children… And KIDNAPPED all OF MY FOUR CHILDREN,,,, DuringSchool Session hour.. On FEBRUARY 2004. My four children are MISSING… After few days.. I found my brand new hired baby sitter… She also DISAPPEARED for few days. Since the First day of the Disappearance of my four children. I could NOT find my BABY sitter…. The Principal told me that! my children are PICKED UP by a POLICE OFFICER and CHILD PROTECTIVE SERVICES on FEBRUARY 11th, 2004. After few days.. I FOUND my missing baby sitter at her Apartment..
out any DEPENDENCY COURT JUDGE. On MARCH 30th, 2004… I SAW, WITNESS, FOUND my 7 years old son name: DANIEL AYSON VILORIA ( DEAD ) On the NEWS. On March 31st, 2004.. 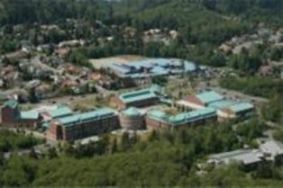 He was KIDNAPPED inside the BREMERTON EMERGENCY HOSPITAL. He was BADLY INJURED…. My two daughter were still missing at that time.. The father of my four children.. Was NOT allowed to have my four children… It's order by the DEPENDENCY COURT JUDGE…. When I went to kamiak highschool it felt very haunted especially going out on the track. At night time you can see someone sitting on the benches. Years ago a guy attended kamiak and he was the star track runner, during p.e. We have to do a thing called the 25 min. Run every Wednesday and we at least had to sprint 7 laps or else we would have to re run it. Anyways, as the guy was running he started feeling sick and out of breath ( asthma ) he asked the p.e. Teacher aka his track coach if he could slow down the coach snapped back and said No ! So he kept running even though he felt like he was going to pass out, he then begged the coaches and they basically told him if he stops he's a weak coward so the runner kept going. A couple moments later the kid stopped in the middle of the track randomly, he's knees buckled and he collapsed he died instantly. The coaches didn't know he was experiencing an asthma attach when the boy was running. Now the track is haunted. He passed away there his soul remains there. Me and my friends always would go to kamiak at night for fun and we always got a spooky feeling and would see things . There are many more hauntings in mukilteo that I will post.